Advice on the 'B' Word. Come back Friday, May 10th to see who won! 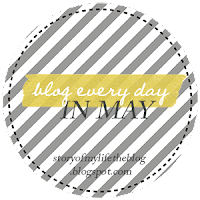 Blog Everyday in May Challenge Day 8! My mind is running as I search for the correct thing to give my advice on. There are so many things I could tell you..photography, make-up, work, school, etc. But I want to take a more serious approach. I want to give advice and my insight on bullying. Yes, I consider that the 'B' word. When I was in high school I was bullied, not physically but emotionally- and as I have talked to others who have been bullied, it has a similar impact. It really changes you. My advice to you this: If you know someone, or are someone who is being bullied: TALK TO SOMEONE. A friend would be great, but a reliable adult is even better. Whether it be a school counselor, your parents, or another family member. Someone you can truly trust and confide in. Bullying is no joke. It's painful. I am who I am today because I was bullied. I was not like the other students- I was different and there is nothing wrong with that. Many do not realize what lengths the bullied individual will go to in order to make the bullying go away. It can lead to devastating things. Take Demi Lovato for example, an advocate for bullying- who went through eating disorders, cutting, violence towards others, drugs and alcohol, and so much more. The media does say that she was bullied growing up, could it have been something she truly never got over? Perhaps. Why she went through these struggles no one will know. But what we do know is that she got help for the problems that she was going through and today still speaks out about bullying because she knows the effects it can have on a person, their self-esteem, and their mind. Unfortunately, I also know how it can effect someone- I know the negative effect it can have. Here's an article to back it up. This article couldn't have come out at a better time. Bullying is something that is talked about here and there but if you are someone who is aware of another individual being bullied- online, through text messages, or even in person. Speak up. Speak now. Let your voice be heard. Help someone and/or yourself.